A BOGO is a Buy One, Get One offer. 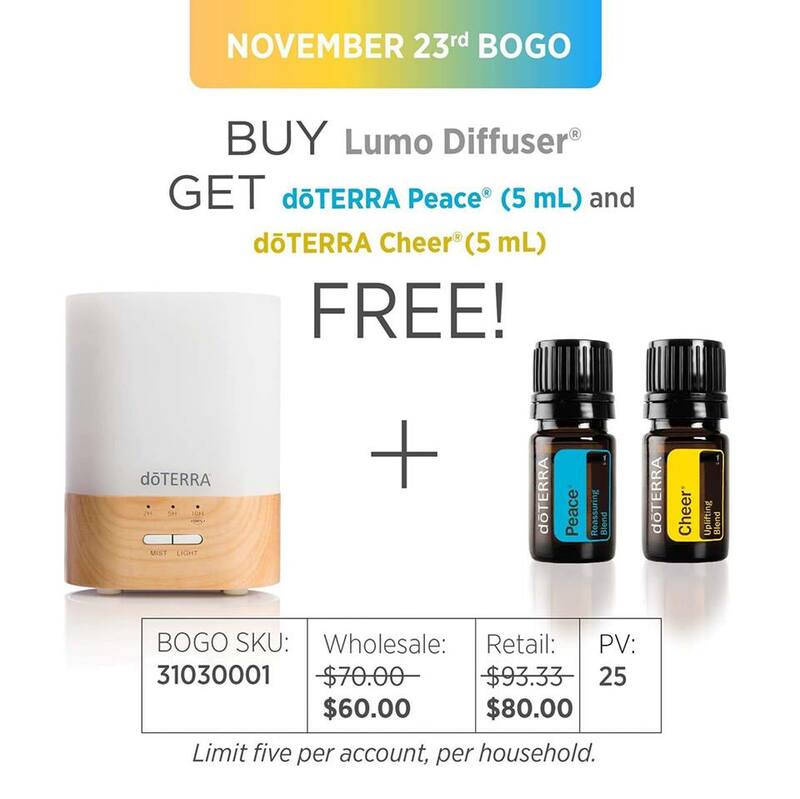 Each day this week doTERRA will announce a different BOGO deal. The deals are available for purchase for only 24 hours (or while supplies last)! Friday ONLY BOGO Deal includes an additional savings! How do I learn about upcoming BOGO deals?